* Whiskey is way up, and not just because of flavored whiskies, which now represent 11% of the category. Practically every type of whiskey is up in sales volume and value. 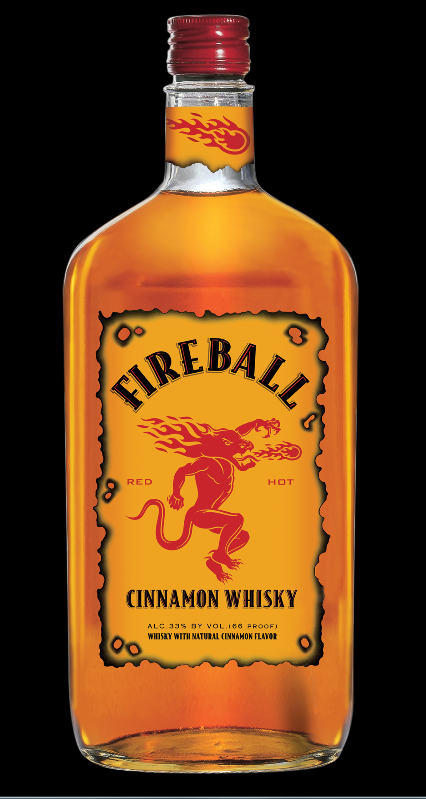 * If you haven't heard of Fireball, it was created by Seagram in Canada in the 1980s and languished unknown for 25 years until a few Southern bartenders discovered it. In 2011, it sold only $1.9 million. Last year, it was up to $61 million. * Vodka still is the biggest spirit, but it's also the only one where consumers aren't trading up. * There's a slight move away from flavored vodkas, which represent 21% of the category and aren't growing as fast as unflavored. Also, vodka flavors that fail appear to be dying at a much faster rate. Example: Dessert flavors (cake, marshmallow) were up last year, but now are tanking. Honey is up, but who knows for how long? * Prosecco is growing at 30% and driving the whole sparkling wine category to its biggest gains in a long time. * Sake is up by both volume and value. Go sake! * The average wine bottle sold is still cheap; Nielsen gives a figure under $7 but I recently saw over $8 elsewhere, and the difference is probably because Nielsen doesn't survey high-end wine shops. However, even where Nielsen does survey, growth is highest in wine sales over $20, up 16.5%. The next-hottest category is $12-$15, up 11%. * The hottest wine brands are Barefoot, Apothic, Black Box and 14 Hands. They added the most dollar sales over the last year. * Imported wines are actually down 0.5% by volume, but they're up 1.9% by value. * New Zealand is still the hottest country for wine imports. Portugal, from a smaller base, is suddenly hot. Go Portugal! * Australia and Germany are still plummeting. Sadly, that's not a reflection of Yellow Tail, which still accounts for about half the Australian wine sold in the US. It's the quality wines of Australia that are still falling. * Syrah is free-falling like a stone, down 14.5% in value over the last year. Riesling, Zinfandel and Merlot are also dropping. * No. 2 already, Cabernet Sauvignon is growing. Chardonnay is still king, about 20% of the market, but growth is flat. Moscato is still growing but has tapered off. * 3-liter boxes are up 8.5% in volume and are now 4.8% of the market, a significant niche. * $1.6 billion dollars of wine -- 3.47 million cases -- were sold by direct shipment. That's about 9% of all wine retail. * The average price of a bottle of wine sold direct to the consumer is $37.78. * You may have heard this before, but it always pisses off certain baby boomer bloggers so it's worth repeating: As a group, millenials are interested in trying new things, will pay more for quality and will pay more for responsible business practices. They also like sweeter taste profiles. Baby boomers, on all those things, not so much. Fireball: It's the Jaegermeister for those who don't like Jaegermeister. We're definitely feeling the pinch in whisky supply on the retail side. Even pretty mainstream brands like Weller's are being allocated in our part of the country! Thanks for posting this feature. I always like industry-related statistics!